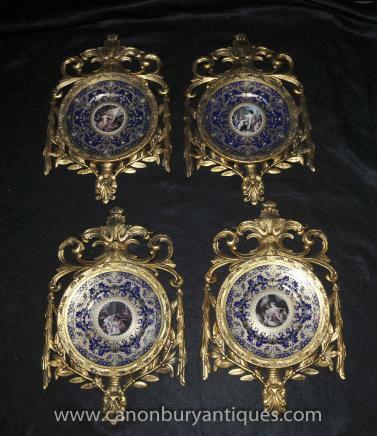 A set of four Sevres style wall plaques with porcelain plate and wooden frame. 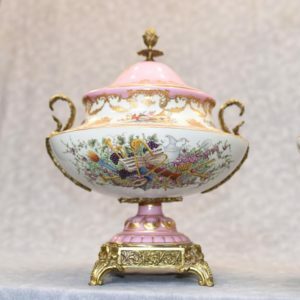 The wooden frame has a gilt finish while porcelain plate features cherub images. The wooden frame is finished in gilt. 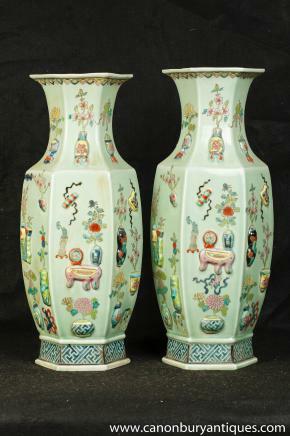 The porcelain frame is in blue, decorated with golden leaf patterns. 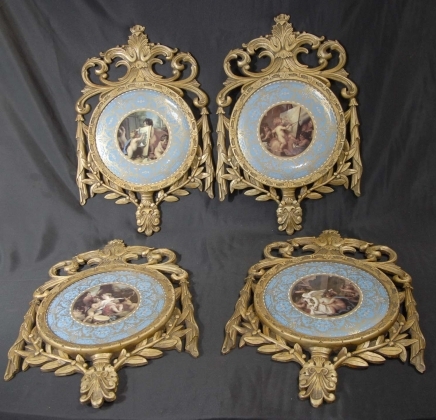 An exclusive set of 4 French Sevres style porcelain plaques. Each plate displays a unique panel that shows cherubs in a different posture, surrounded by a border in navy blue color. 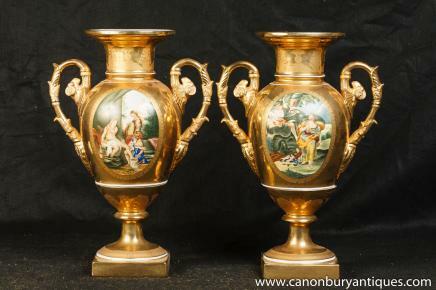 Hand-painted designs and arabesques in gold leaf added with gilt frames. 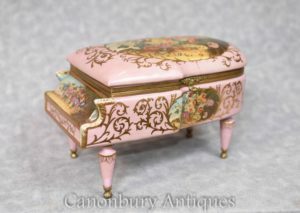 Bought it from Marche aux Puces de Paris – flea market in Paris.